The Queensland G overnment IT Graduate Program has been attracting graduate talent for over 12 years, contributing to a workforce dedicated to government’s responsive and digital future. The program enables Queensland Government entities to tap into a pool of enthusiastic and bright future leaders. It also allows university graduates to launch their government career in a range of IT-related technical and non-technical roles. All Queensland Government departments, agencies and government owned corporations are invited to participate in the program, managed by the Queensland Government Chief Information Office (QGCIO). By partaking, you can benefit from employing someone with an innovative and creative approach that can help drive change and meet your business needs. The IT Graduate Program's extremely high satisfaction rates speak volumes of it success. support to find the best graduate fit for your business. 'Professionally managed recruitment and development program, providing a caring graduate network which facilitates career advancement'. 'The program brings new talent, viewpoints and ideas to our work area while helping to shape a newer mind set and help them grow'. 'The professionalism of the program attracts quality applicants and then the on-going support doesn’t end once the graduate commences'. 'We are always short staffed so to have the graduates it has been a god-send'. 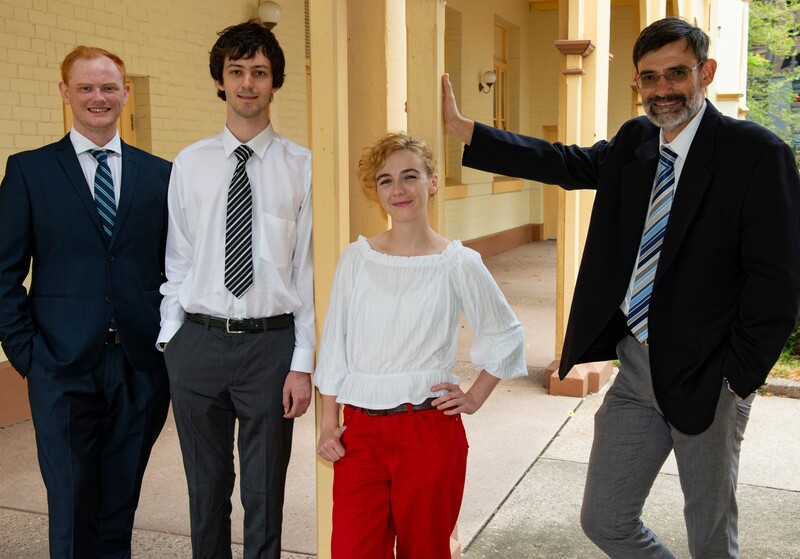 The IT Graduate Program develops a workforce geared for a digital future, by encouraging Queensland Government entities to employ a fully-supported and tech-savvy graduate. With digital IT talent notoriously hard to attract and retain, the IT Graduate Program recruits digital experts for technical and non-technical roles in the Queensland Government. Our team can help your business by leveraging the profile of the program, engaging directly with university students and increasing awareness of the benefits of working for the Queensland Government to bring you the best candidates. Participating departments will take on a graduate for a two-year temporary contract at the A03.1 classification level (or equivalent) for the graduate (see costs below). 2020 Graduates must start with agencies no later than 5 February 2020 (unless otherwise negotiated) or sooner if required and have an end date no earlier than 5 February 2022. Participating departments will sign an Agreement with the Queensland Government Chief Information Office (example Agreement (DOC, 174 KB)). with a view to retention by your agency if possible. You will need to consider number of vacant full-time employment (FTE) positions at A03.1 level you have available, your budget and workloads. The number of graduates your department chooses to take on is up to your business unit. Generally, the program numbers are capped at 40 graduates per intake. Nomination Forms are to be returned to the IT Graduate Team with list of graduate numbers and roles required by your business area, no later than end of June 2019. Late recruitment will be considered and negotiated, up to but no later than end November. Any later not only disadvantages the graduate, but creates an extensive workload for the IT Graduate Team of two people. There are 27 specific roles that you can recruit for; each requires a technical or selected non-technical degree as a prerequisite. If there is a specific role you would like filled, contact the IT Graduate Program Manager to discuss the opportunity of creating a new role. By participating in the program, Queensland Government entities agree to employ a graduate student/s for two years beginning at an A03.1 level. Remuneration is dependent on which department you are with — from $60,605 per year plus super (core public sector). In addition to their salary, the program costs $6000 +GST for each graduate student. comprehensive graduate training and development as listed on our training calendar. a tablet for training and day-to-day use. Agencies who chose to provide a device (BYO) for graduates will be discounted $250 per graduate. Departments will be invoiced for the full cost after the commencement of the program. QGCIO will provide you and all participating departments with high level support and guidance. In return you will be assured of recruiting a skilled, creative and innovative university graduate. Potential graduate candidates register their interest for the program through the Queensland Government Graduate Portal. Registrations for the 2020 cohort will re-open in July 2019. QGCIO will view the registered candidates, then work with a recruitment partner to screen, test, video interview and gather information from each potential candidate. Through this process, candidates select two graduate roles that best suit their qualification and interest. QGCIO provides the final list of potential candidates to participating departments, ranked top to least scorning and separated into graduate role types. Participating departments then shortlist, interview and appoint candidates in-house. Our training partner Livingstones, have worked alongside us to develop an outstanding leadership development program with the majority (80%) of the training being delivered in the first year. Training has a focus on getting the graduate established in their role and supporting them with effective soft skills, leadership and government-focused development. In the second year, training has a focus on the host department, including how to engage graduates in activities that encourage them to generate innovative ideas for improved business outcomes. This year is an opportunity for departments to set up form rotations, instigate role-specific training and/or challenge graduates with more complex work. As per the example Agreement, employment of the graduate/s is the sole responsibility of the department, agency or government owned corporation. Any performance issues should be managed by the employer; QGCIO will provide support and advise where appropriate. The program encourages employers to expand the opportunities available to their graduates to include a broad range of experiences across the business, including rotations, short term acting up opportunities and formal secondments. Opportunities should be given to the graduate and where possible, consideration should be offered for the graduate to retain their formal role (A03 position). Mentoring and support have been proven essential for the successful development of graduate students. Once you have engaged a graduate you will be asked to nominate their supervisors and mentor. A separate person for each role of mentor and supervisor is preferable, as they play very different roles. Supervisors and mentors will be invited to the induction to hear about their role in supporting the graduate. This way, all parties involved in the program are provided with an opportunity to develop their skills and knowledge - not just the graduates. assisting graduates with resume, application and interview preparation. We maintain an excellent rate of retention, with on average 82% of our IT Graduates remain in Queensland Government. A recent survey revealed, most graduates go on to achieve and A04 or A05 position upon completion of the program. Some graduates have landed senior roles across the Queensland Public Service, or re-joined the program as a graduate supervisor or mentor, providing a valuable experience for the incoming graduates. We will be seeking interest in April 2019 for 2020 intake. For further information on the program and our processes, please contact the IT Graduate Program Team.